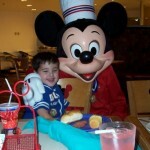 Join us in welcoming guest author Jennifer Harris with an informative review of allergy friendly dining at Walt Disney World. Are you on a special diet? Read on! Oh Disney, how I love your allergen-friendly ways. Dining at Disney is half the fun for those with food intolerance/allergy while visiting its theme parks. 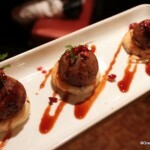 From the very first meal, it is apparent their talented team of chefs has got your back and then some. With table and quick service, buffet, and fine dining options, the attention paid to preparing allergen-free cuisine is exemplary. The sky is the limit at Disney because serving their guests is top priority. Preparation tables are sanitized, gloves are changed, and one chef handles the order from start to finish to ensure there is no cross contact. Disney can currently prepare meals for those allergic/intolerant to: wheat, gluten, peanuts and tree nuts, soy, eggs, corn, dairy and lactose, shellfish, and fish. 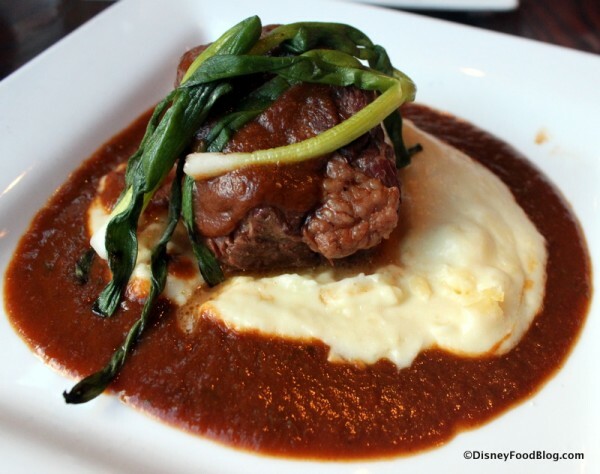 If you haven’t enjoyed gluten-free cuisine at Disney, it is easy and effortless to enjoy. Advanced arrangements are not necessary at Disney. Guests can go to any dining location on the property and indicate a food intolerance/allergy. If eating at a table-service restaurant the chef will come to the table, but if you are at a quick-service area the chef will come directly to you. This lovely chef will be armed with either a binder with options by allergen, or the knowledge of what dishes are safe. 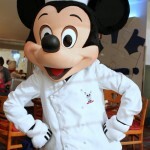 The same chef prepares the dish, which is another way Disney makes gluten-free diners feel welcome and very comfortable. Yak and Yeti Restaurant is a table-service option serving Pan-Asian cuisine in a Nepalese-style restaurant with gluten-free options. The chef will visit the table to go over the many gluten-free options. The portion sizes are huge with the seafood curry and the lettuce cups serving as menu highlights. Visit Sanaa in the Animal Kingdom Villas – Kidani Village, which is part of Animal Kingdom Lodge, for an African cooking with Indian flavors fine dining experience. The separate gluten-free menu (gluten and dairy free options, too) is extensive and includes gluten-free naan, inventive salads, curry, lamb, dessert, and much more. 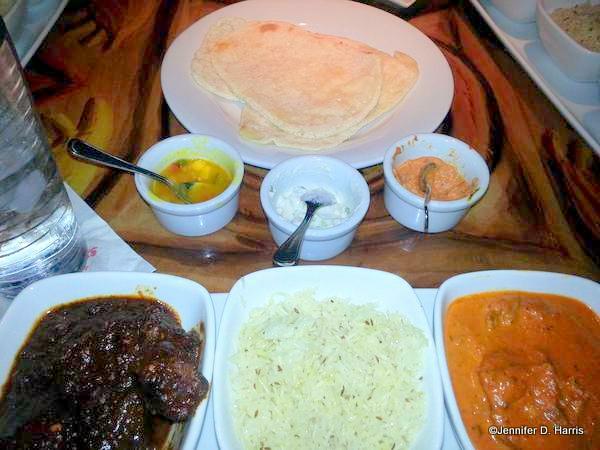 Again, the portion sizes are generous and the tender flavorful lamb shank and naan bread service with dipping sauces are ‘must order’ dishes. This restaurant also offers guests the pleasure of watching the exotic animals roam the Sunset Savanna while dining. Reservations are highly recommended. Rainforest Café invites guests to enjoy American cuisine in the middle of a rain forest complete with animated animals. 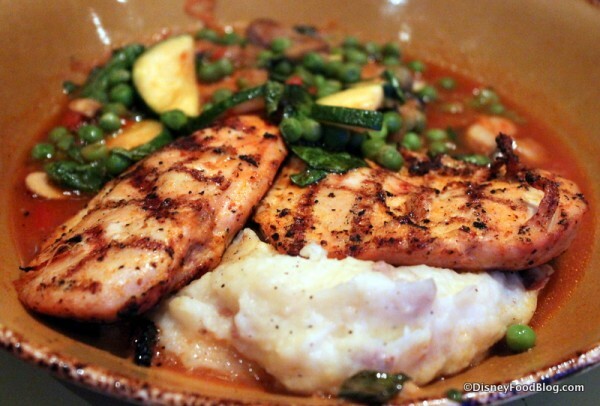 There isn’t a separate gluten-free menu, so the chef will indicate which dishes are safe. 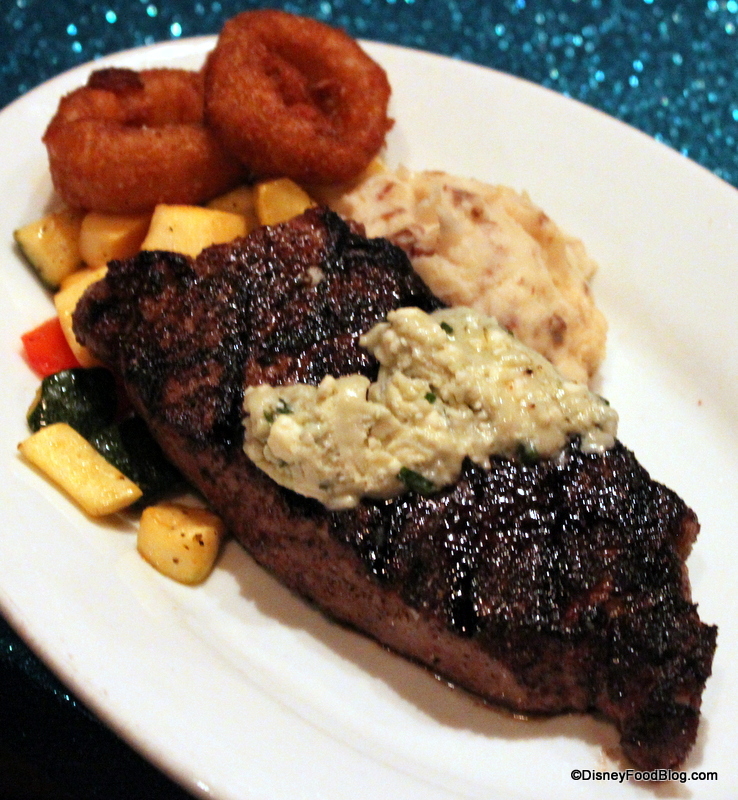 Order a burger or sandwich on a gluten-free bun, salads, or an entree and make sure to save room for dessert. 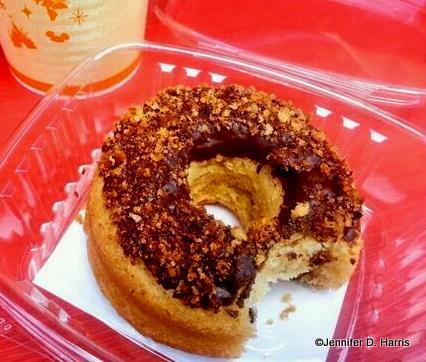 Erin McKenna’s Bakery NYC offers guests an assortment of fresh baked gluten free and vegan goodies. Cupcakes, doughnuts, cookies, scones, cake, brownies, sweet and savory breads and more line the bakery cases. The cinnamon sugar doughnuts and banana bread are my favorite. T-REX offers a prehistoric and dinosaur-themed table-service dining experience complete with meteor showers. One of the most popular destinations for kids, it is a good idea to make reservations or get in line right as it is opening. The restaurant is huge, but it fills up fast. It is actually surprising how many dishes either are, or can be modified to be gluten free, including pasta, rotisserie chicken, steak, and ribs. Save room for dessert! 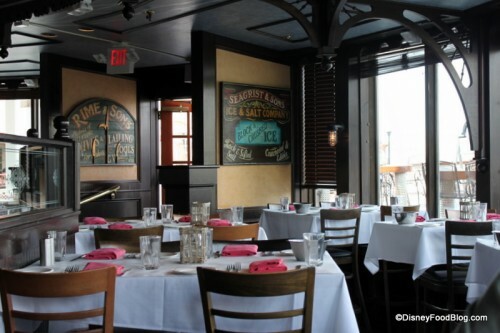 Fulton’s Crab House is the place to go for fresh seafood, which is flown in daily from ports around the world. The table-service restaurant, which is housed on board an authentic riverboat, is a fine-dining establishment with a menu full of seafood. Lobster, clams, crab, and mussels are steamed and served with potatoes and corn on the cob. Steak and ribs are on the menu too for red meat lovers. This lovely restaurant right on the water is another one where making reservations is a plus. Raglan Road Irish Pub and Restaurant is a great place to go and experience authentic Irish cuisine, Irish dancing, and live music. At this table-service restaurant, a chef will not visit the table, but the servers are well informed about which dishes can be prepared gluten free. They have a dedicated fryer, so fried shrimp, fish and chips, and onion rings are available and highly recommended. 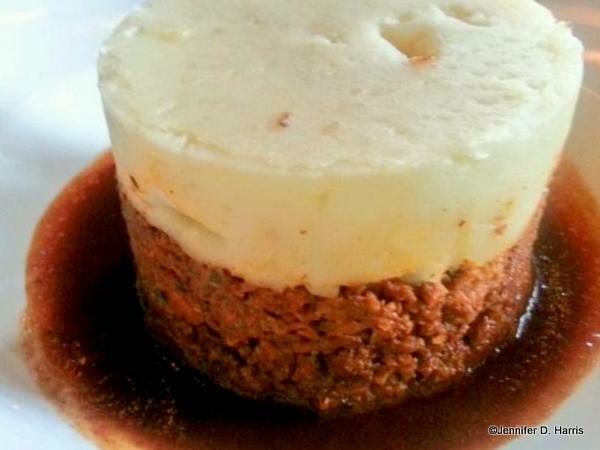 The shepherd’s pie is gluten free, so be sure to order a side of crushed green peas or garlic parmesan and truffle oil skinny chips to dip in the gravy. An ice cold cider washes it all down. 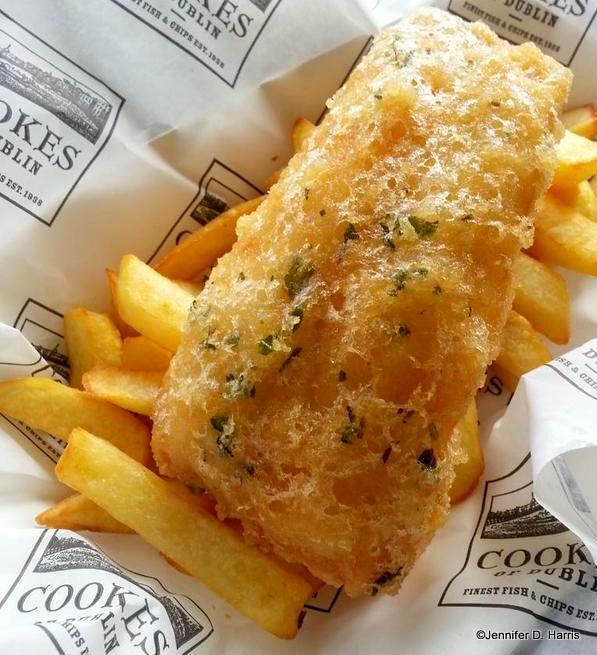 Cookes of Dublin is Raglan Road’s quick service restaurant and a great place to grab a lunch of fried seafood made in a dedicated fryer. Fish, shrimp, and chicken tenders can all be prepared gluten free, but the star of fried seafood is Georges Bank Atlantic scallops. The batter is crispy, stays attached, and manages to be light and flavorful without being too salty. Try one of their gluten-free cupcakes for a perfect end to a special meal. 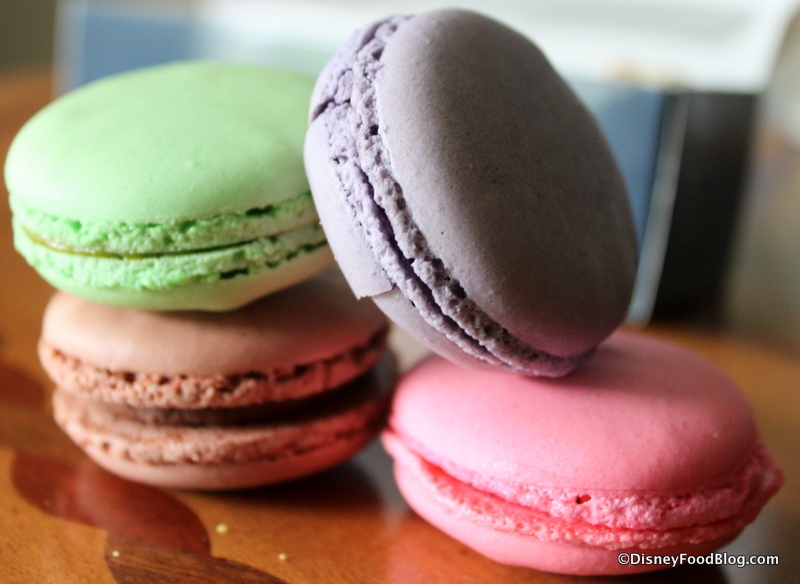 Stop by France’s Les Halles Boulangerie Patisserie for a sweet treat of French macaroons, chocolate covered meringues, crème bruele, or a berry parfait. The Biergarten Restaurant in Germany comes complete with biergarten-style tables, a live band, sing along, and of course a large buffet of German delights. The meatloaf, hot German potato salad, applesauce, potatoes, beet salad, red cabbage, sausage, soup, carved meats, and more are all gluten free. A chef will visit the table and offer to make a plate in the back. Take them up on this offer because this buffet tends to have an issue with cross contact. The red berry compote with custard-like cream is a divine dessert and kept us coming back for more. They have an excellent selection of German wines to pair with the cuisine. La Hacienda de San Angel in Mexico offers Mexican cuisine and lagoon views. Their menu marks all gluten free and gluten and dairy-free options, and there are many. Sadly, the chips are not prepared in a dedicated fryer. Seared snapper, marinated chicken with roasted vegetables, braised short ribs with chimichurri, steak, and pork confit with pico de gallo are all gluten free. Go for the food, but stay to enjoy one of their signature margaritas. Mango blueberry basil, lime raspberry, and avocado are made with fresh juices and sweetened with agave. Akershus Royal Banquet Hall in Norway offers a character table-service experience inside of a medieval castle with a mix of table service, buffet, and family style dining. Their extensive gluten-free menu offers diners an authentic taste of Norwegian fare: pan-seared salmon, oven-roasted chicken breast, red wine braised beef, pork chops, cod, and a Norwegian meatball dish called Kjottkake. They also offer macaroni and cheese and pizza. The buffet is loaded with imported cheeses, cured and sliced meats, and a selection of salads and fruits. 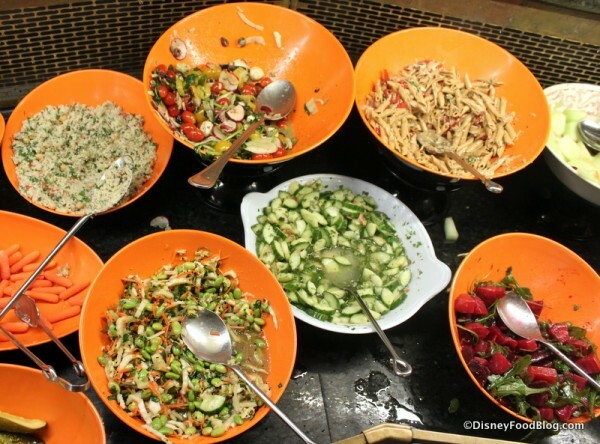 Ask the chef to prepare your buffet choices in the back to avoid possible cross contact. Sorbet, cookies, and vegan ice creams round out desserts. 50’s Prime Time Café is a table-service restaurant serving up good old American comfort food in a stylized setting complete with checkerboard floor, Formica tables, and sassy wait staff. 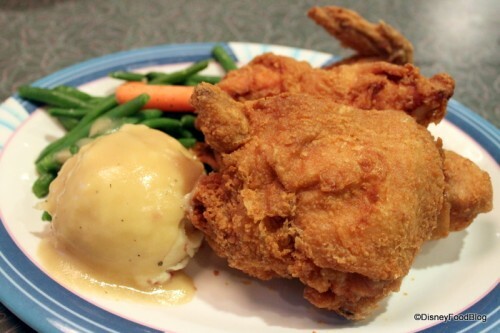 The restaurant serves up some highly sought after gluten-free items, like meatloaf, and chicken pot pie, but it is the fried chicken on the bone with mashed potatoes and gravy and grilled vegetables that brings in the gluten-free crowd. Make a reservation or you will be waiting for a while. ABC Commissary is a quick-service restaurant where orders are placed at the registers and then people step forward to collect their order. They offer burgers on an Udi’s Gluten Free wholegrain bun with French fries, Asian salad topped with grilled chicken or salmon, chicken tenders, steak and roasted salmon. Great quick lunch stop before heading off to enjoy the park. Sci-Fi Dine-In Theater is set up like a ’50s drive-in, where diners sit in classic cars and watch sci-fi movies while enjoying all-American cuisine. Choose from burgers and sandwiches on buns with French fries, ribs, chicken or shrimp pasta, and steak. Appetizers include wings, salad, and spinach and artichoke dip with corn tortilla chips. This is the perfect atmosphere to enjoy a hot fudge sundae, brownie a la mode, or a shake. Reservations are crucial and the wait is long without one. 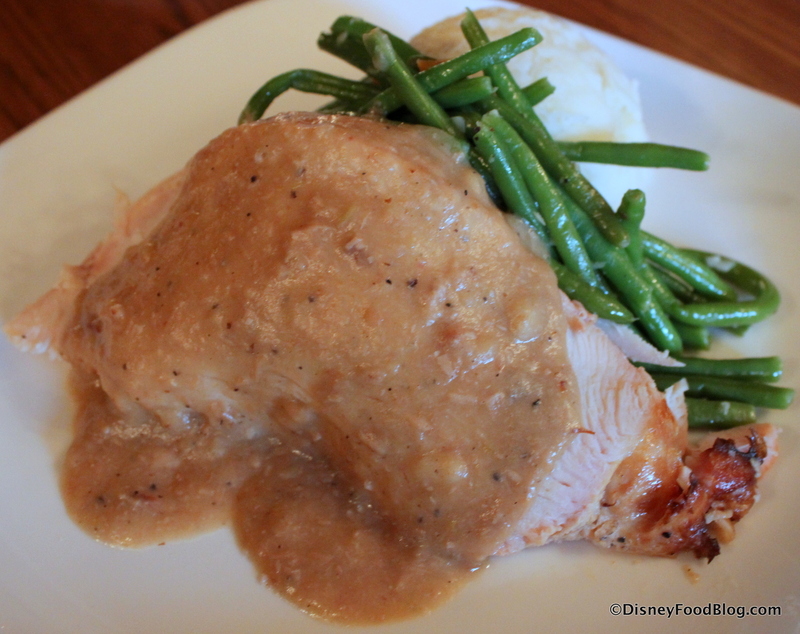 The Hollywood Brown Derby is my favorite place to dine when visiting Disney’s Hollywood Studios. It offers a fine dining experience like no other. Step into this restaurant and one is transported to the golden age of Hollywood. The restaurant is gorgeous with its wood paneling, checkerboard floor, and walls adorned with caricatures of famous actors. One of the few places where warm table bread with whipped butter is a standard even for gluten-free diners. Order the Famous Cobb salad heaped with ingredients and watch as the waiter expertly cuts and chops it into a feast. 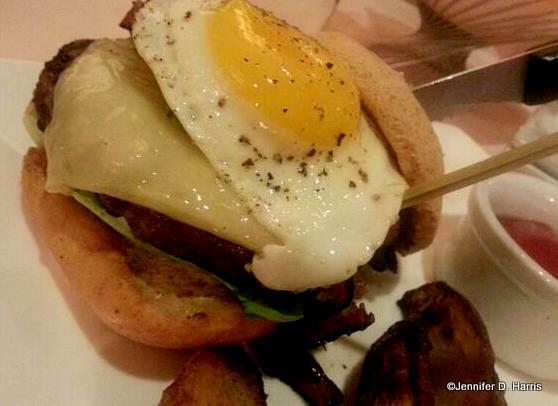 The wagyu burger topped with pastrami, onions, avocado, cheese, and a fried egg is served on a gluten-free bun and comes with hand-cut fries. If you are really lucky, a well-dressed character may visit your table to bum a light, or perform a magic trick. Reservations are highly recommended. 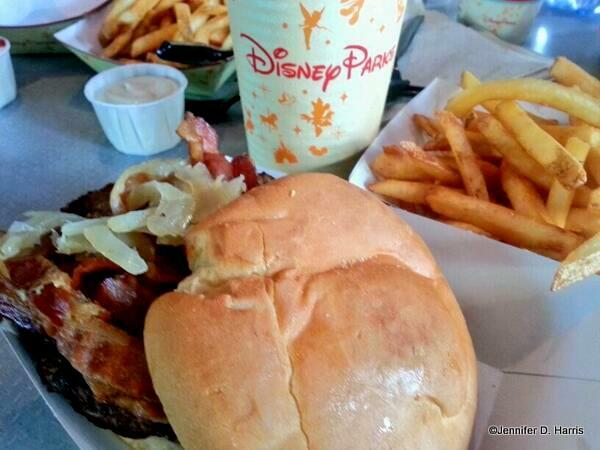 Cosmic Ray’s Starlight Cafe offers burgers and French fries on gluten-free buns in a quick-service environment. Make sure to ask them to heat the bun for your order, otherwise it will come out room temperature and a little stiff. Fries are prepared in a dedicated fryer and served piping hot. 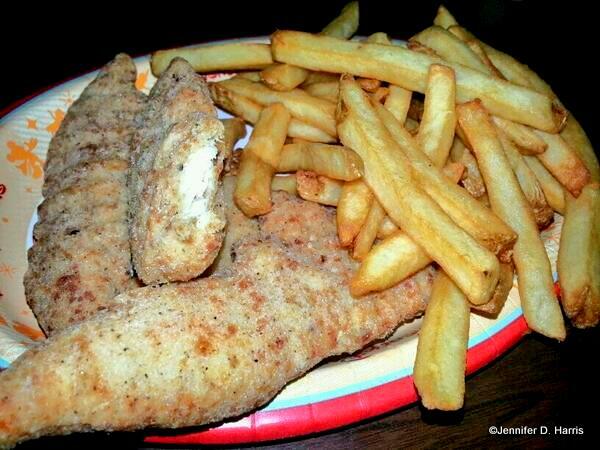 We always visit Columbia Harbour House to indulge in gluten-free chicken tenders and French fries. 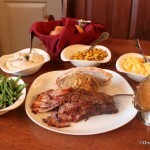 They also offer Amy’s macaroni and cheese, grilled salmon, and steamed fresh broccoli on their allergen-friendly menu. This quick-service restaurant is a great place for lunch and includes gluten-free brownies and cookies for dessert. The Crystal Palace’s character buffet invites guests to take a load off and enjoy an extensive spread of options. The restaurant takes its inspiration from Victorian greenhouses of the late 1800s and is filled with light, topiaries of Disney characters, and tropical palms. 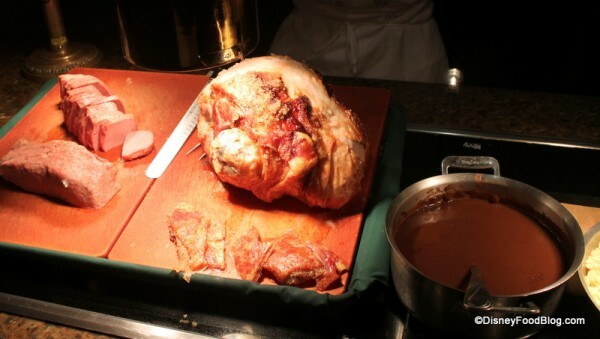 A chef will visit the table and take guests on a tour of the buffet to point out safe items and will offer the option of preparing dishes in the back. Choose from fresh hot and cold salads, seafood, carved meats, chicken, salmon, cold meats, and more. Grab a Dole Whip at Aloha Isle for a creamy and refreshing treat of soft serve ice cream made from Dole’s pineapple juice. Pineapple, vanilla or swirled soft serve ice cream, floats, and fresh pineapple spears are available. All of the Dole Whip flavors are free of gluten and lactose, but only the fruit flavors are vegan. The line may be long, but this sweet treat is definitely worth the wait. Liberty Tree Tavern is an excellent place for table-service lunch or dinner. Hearty all-American style cuisine is on the menu at this patriotic restaurant. The star of their gluten-free offerings is The Pilgrim’s Feast that includes turkey, mashed potatoes, green beans, dinner rolls, and gravy. Being able to dip dinner rolls into the homemade gravy is such a treat for this Midwesterner. Pot roast, salad topped with meat, and burgers and sandwiches on gluten-free buns round out their offerings. We make it a point to go every time we visit the park. The Plaza Ice Cream Parlor offers Tofutti brand chocolate and vanilla ice cream in a cup. 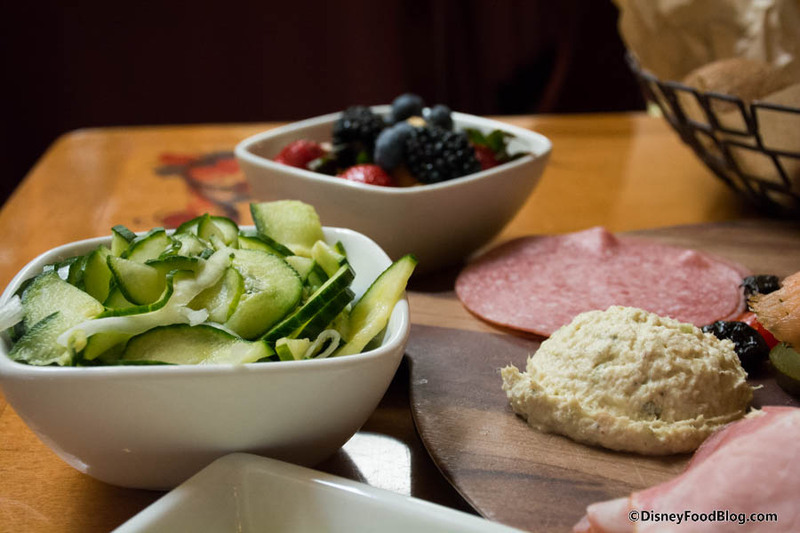 No matter where guests with food allergies/intolerance dine at Disney, rest assured the chefs go above and beyond to ensure a delicious and safe experience is had by all. 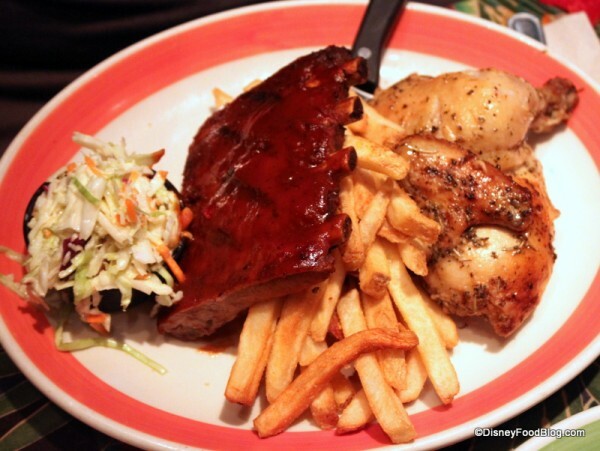 Where is your favorite place to grab a gluten-free or allergy-friendly meal at Disney? As someone with a severe shellfish allergy, I am always blown away at the care Disney takes to make sure that all their guests can enjoy as much of their menus as possible! I’d love an to see a DFB article on egg free dining! I have a gluten allergy, and have never felt deprived at Disney. Most of their restaurants can modify their dishes based off of your allergy so you can still get it in some form, which I really appreciate. They also have introduced allergy menus that work really well for people with just 1-2 allergies. They have a good selection of choices on there, and allow the chefs to focus in on people with more complicated allergy situations. For example, my daughter, who is allergic to Egg can easily use the allergen menu, however my son has 7 food allergies including uncommon foods, so for him we need to talk to the chef. Can you ask for food to be cooked salt-free or with low-salt added at Disney? Also, which restaurants are safe for those who can’t have a lot of salt? Thanks!! We’re traveling to Disney World in June and my daughter has an egg/ dairy allergy. I love how much information that Disney gave me about the restaurants and what and where we can eat easily. Do you know though, where the allergy friendly cookies are sold? Do all the little kiosks and stands have them? When we use her snack credits I want to let her indulge some…not get fruit every time. 🙂 Do you know where the vegan ice creams are sold too? I think calling Disney “allergy friendly” is a stretch! 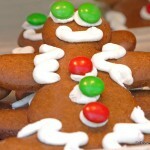 Of course they have lots of options and processes in place for gluten allergies which is fantastic. But for other allergies, they are still lacking. My 11 yr old has a severe tree nut allergy. Most Disney restaurants have been somewhat accomodating, while others turned us away because they could not safely handle food preparation for her. There are few if any safe treats, baked goods and desserts that are safe for her with the exception of a pre-packaged brownie or cookie. Entrees at most restaurants are very limited. For the most part, she has to eat the same thing every day regardless of the restaurant. Some chefs are super accomodating, while others could care less. My biggest complaint is about the new “Allergen Friendly” menus that Disney created. The items on these menus are in NO WAY allergy safe for highly allergic and sensitive individuals. The foods and ingredients are not guaranteed to be free of contaminants or not processed in same facility as contaminants. While they do have this disclaimer in very fine print on the these menus, I think that they give people a false sense of security with these menus. When you stay on property and don’t have a car to go outside of Disney, it’s hard to find safe and healthy food options. Overall, Disney has come a long way in their handling of allergies. I just hope they go a bit further with respect to the other “Top 8” allergens to include more healthy options and educating their food service staff. I’ve learned to stay away from my food allergies and to do a lot of research on the menu before i go somewhere. But i’m luckily one of those people who doesn’t have an issue unless i directly eat the thing i’m allergic to. The “allergy-friendly” Pilgrim’s Feast stuffing is made with rice instead of bread. Since i don’t have an allergy to bread stuffing, the kitchen was able to make me the regular version of the dish (with bread stuffing). They just made sure it wasn’t cross-contaminated with the stuff i’m actually allergic to. Crysta — While we can’t specifically recommend a restaurant that offers a low-salt menu, Disney restaurants in general are very accommodating. When you check in, let the staff know that you have a specific dietary need, and a member of the kitchen staff will meet with you to determine how they can help you plan your meal. Good luck! I thought dole whip was dairy free, not just lactose free? There is a huge difference. I concur that if you have one of the popular allergies, you have a lot of options. If your allergies are less common then it can be quite the hassle. I contacted Disney dietary. I filled out their form with my ADRs. Only half of the restaurants contacted me ahead of time. & half of those contacts were with chefs who ended up not being there when I went to eat so any arrangements I had made were unknown to the staff on that day. So many of the meals I ended up having on my last couple of trips ended up being bland grilled chicken & mashed potatoes. Now there are places that went out of their way to make me something yummy & safe (Yachtsman Steakhouse & Capt’s Grille at the Yacht Club resort), others that just meh (Coral Reef is really limited in basic ingredients that they can improv with. ) & some that ended up causing me to have an allergic reaction. 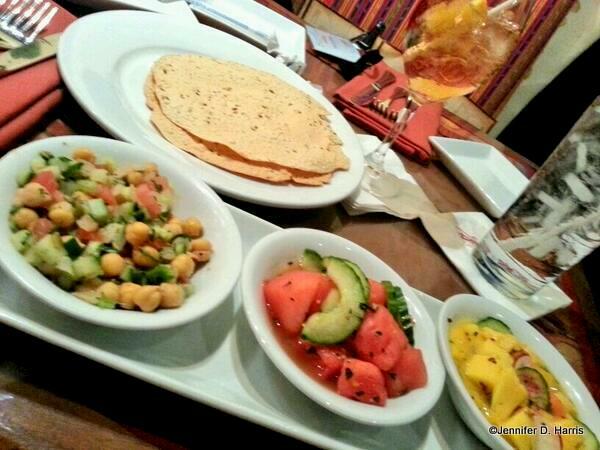 (California Grill). So yes Disney does overall provide sooo much more support for those with allergies than the rest of the restaurant world. But still be prepared to have to do a LOT of communicating & compromising. I really wish they had peanut free meals and especially dessert! I have a magical time in Disney but i find my self worried everytime we have to eat! My son is so allergic to peanuts , wish it could feel safe in restaurants especially the ones that are table service. If i could ask for just one thing or even one thiusand things it would be just that! As someone who has both food allergies (one quite serious) and Type 1 Diabetes, I find it ridiculous that people complain about Disney not doing enough to accommodate every conceivable food allergy. When I go to a restaurant, I don’t expect them to change the way everything on their menu to suit my needs. I simply order something that is appropriate to my dietary requirements. Too many people today expect others to take responsibility for their health. Disney does a remarkable job of providing options for most dietary restrictions, but it is unfair to criticize them for not being able to accommodate every rare food allergy in every single restaurant on property. Wow…finally a rational and personally accountable comment. Well done, Disney Mike. Unfortunately, you seem to be the anomaly. I have a son with peanut allergies. He used to have milk allergies, but, thankfully, has outgrown that one. I am very pleased with how Disney accommodates those with food allergies. At table service restaurants the chef comes to the table with a pad to take notes. When Ryan had both peanut and milk allergies, chef would make something from scratch based on Ryan’s likes. 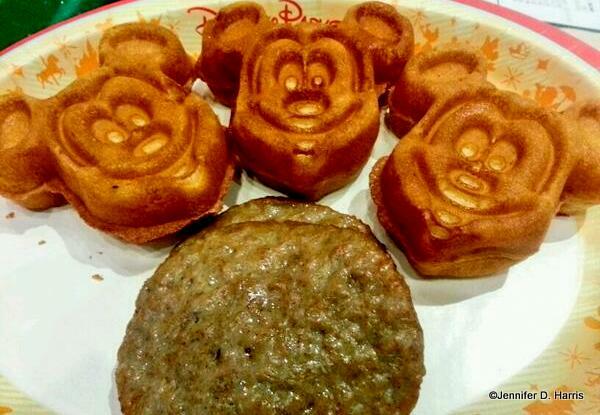 One time the chef at Cinderella’s castle made him safe waffles and a bowl of fresh fruit. He was elated. In fact, when Belle came to the table for a photo he said, “Oh, Mommy, I am much too busy eating this delicious waffle to have my photo taken with a princess.” He also got special Mickey waffles at Hollywood and Vine. Desserts and pastries are not safe, but we stay away from them. If I think we’ll be in a dessert situation, I secretly carry his favorite pre-packaged treats to give him. Quick service places have been excellent too. The manager comes out with a book of ingredients from the products they use. We can always find something for him to eat . It doesn’t have to be his favorite and that’s ok. Pizza Planet shared its kitchen with Mama Melrose. They have soy cheese. On this trip, Ryan had his first pizza. Another wonderful thing about Disney service…. NO ONE rolls their eyes or sighs when I mention I have an allergic child, as some of the responses I’ve gotten at non-Disney establishments. We have always been treated with respect to our needs. Can you imagine how many special requests they get a day??? I always do research on each place I know we will be eating prior to arriving. Then I know I have 100% chance on finding something yummy for my little one. I heard that 50s prime time stopped serving the on the bone chicken as a gluten free option? Any one know if it’s still available or the rumors are true? A fellow gluten free blogger mentioned them no longer as an option just in the past couple years..
@ Natasha… The Fried Chicken is not on the Allergy Menu at 50’s Prime Time . The reason being is that it takes between 30 and 45 minutes to prepare and cook from scratch depending on how busy they are. You can always request it. You may also contact the restaurant directly at 407 560 4844 and ask to speak with a chef where you can give them your reservation confirmation and request that some gluten free chicken be ready at an approximate time. When it comes to the chicken in particular, this method is preferred. The gluten free chicken is worth going to this trouble. Hope this helped. My friend has a salt intolerance and can eat absolutely no salt and the Disney chefs were incredibly accommodating! At every restaurant they made her a huge plate of food with no salt. She was treated like royalty and definitely didn’t miss out on any good Disney food. Katie — Thanks so much for sharing your experience with us! I know it will be helpful to other guests with the same questions. JayBone — Thanks so much for sharing this helpful information! I know you can get the allergy cookies at most counters service restaurants, and if you are staying at a Disney Resort you will definitely find those snacks in the quick service area. At Pop Century in 2014 we were able to use a snack credit to get myself and my son the vegan cupcakes, which were delicious. Every table service restaurant that had ice cream had the dairy free version and it was on the menu at the Main Street Ice Cream Parlor. My son was even made a dairy free “milk shake” at the Sci fi Dine In Theater in HS. The carts that sell Mickey Bars usually had a dairy free, think fruit bar, option. 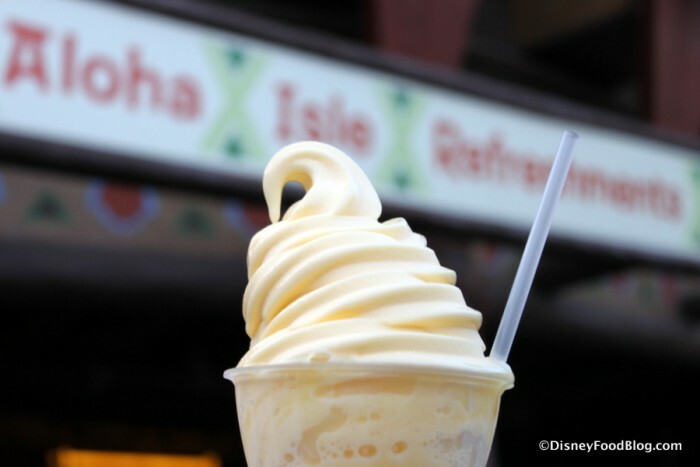 And do not miss the Pineapple Dole Whips in Adventure Land. 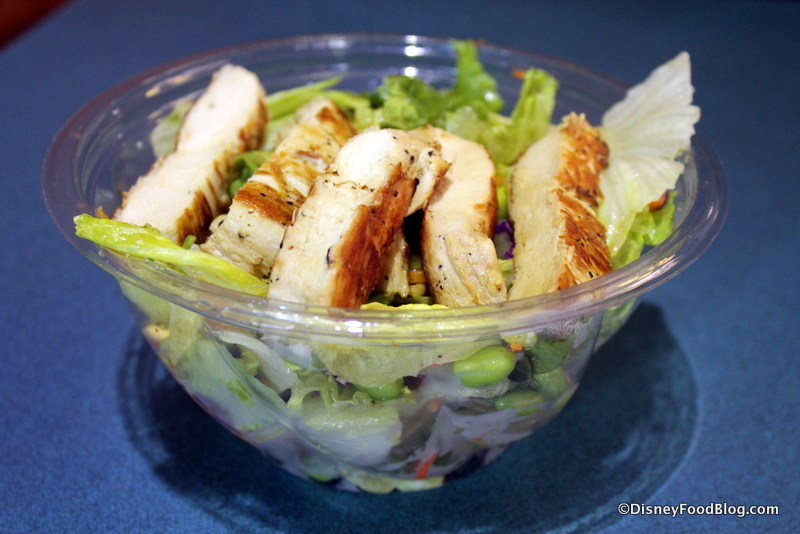 I would recommend checking out the gluten free/ dairy free at Disney World website.